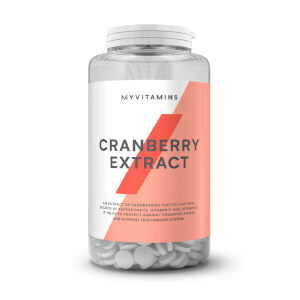 What Are myvitamins CO-Q10 Tablets? myvitamins Co-Q10 is a source of the essential natural nutrient, co-enzyme Q10 or ubiquinol, that is found naturally in the body. As a co-enzyme, it supports other enzymes in the body to carry out essential functions including energy production and absorption of other nutrients. Why Use A Co-Q10 Supplement? Its name may not sound natural, but Co-Q10 is a vitamin-like molecule that is found in cells all over our bodies. We produce it naturally, but only in small amount that decline as we age. Supplements can help to support these levels. Expertly formulated into a convenient tablet, our Co-Q10 is designed to support our natural levels, especially as we age. What Works Well With Co-Q10? Our natural levels of collagen also decline as we age. Try taking our Coconut + Collagen capsules with our CO-Q10 tablets to support your levels of both nutrients. Our tablets are easy to consume. Just take three tablets a day. Bulking Agents (Di Calcium Phosphate, Microcrystalline Cellulose), Co-Enzyme Q10, Anti Caking Agent (Magnesium Stearate). I was told my a Chinese herbalist that i should be taking these about 10 years ago however it was a little bit expensive as an everyday tablet which at the time i was unable to afford. I was again advise to start taking these by my neurologist as a possible enhancement to my medication to stop migraines/cluster headaches. I started taking these at the beginning of the month and i believe that they are helping with my general well being and fingers crossed my migraine condition. The pricing on the co-q10 is very reasonable and again it is great that they are taken in three doses at different times of the day. Great Product. Easy to swallow as its such a small tablet. Helped boost energy. I've been really satisfied and the results of taking Co-Q10! I had the product recommended for boosting energy levels and speed up my recovery phase from exercising. After having integrated the Co-Q10 into my daily routine and diet, I definitely have started to feel the benefits! Highly recommend this product - excellent quality to a suitable price.